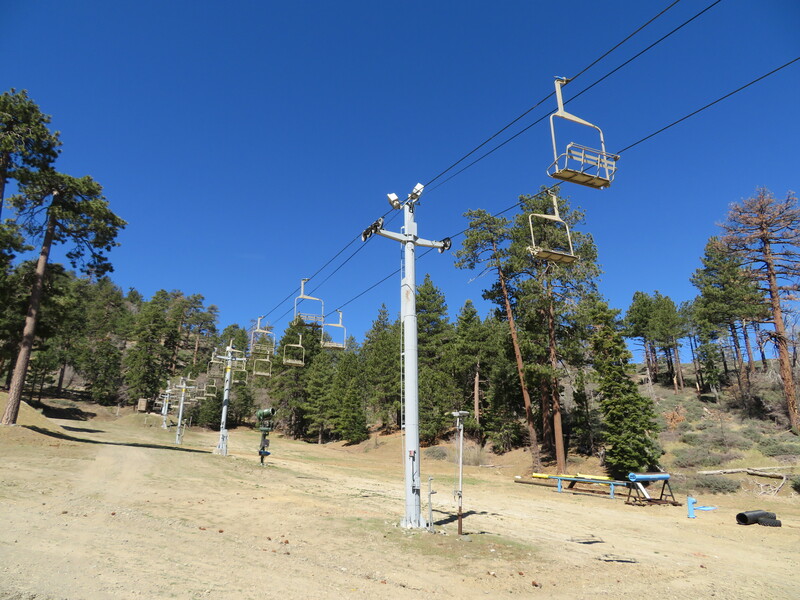 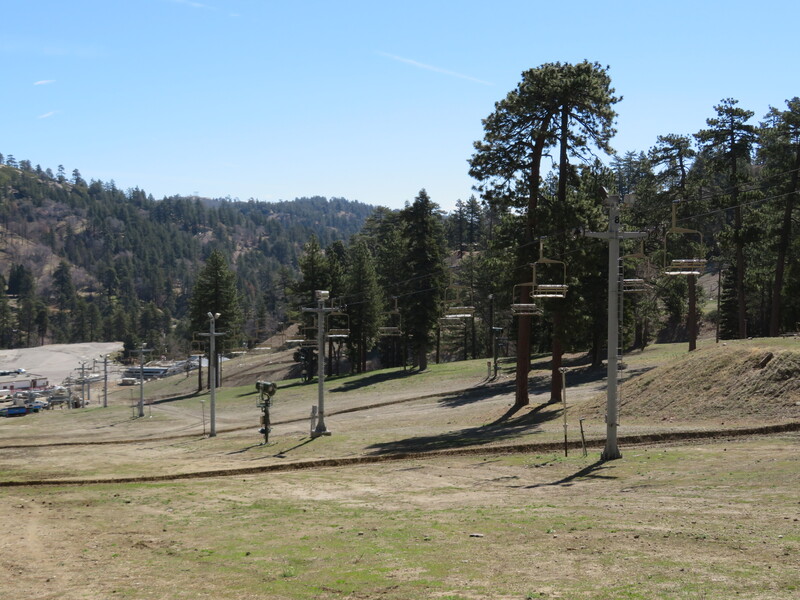 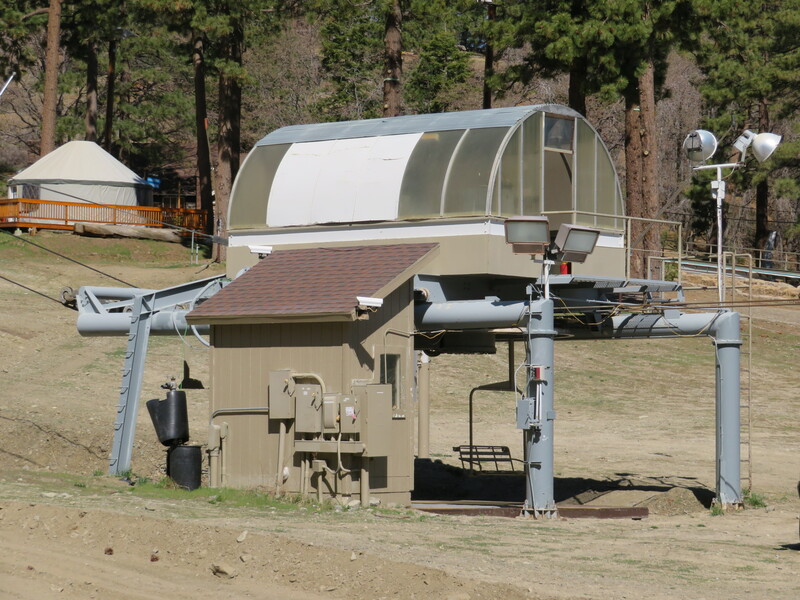 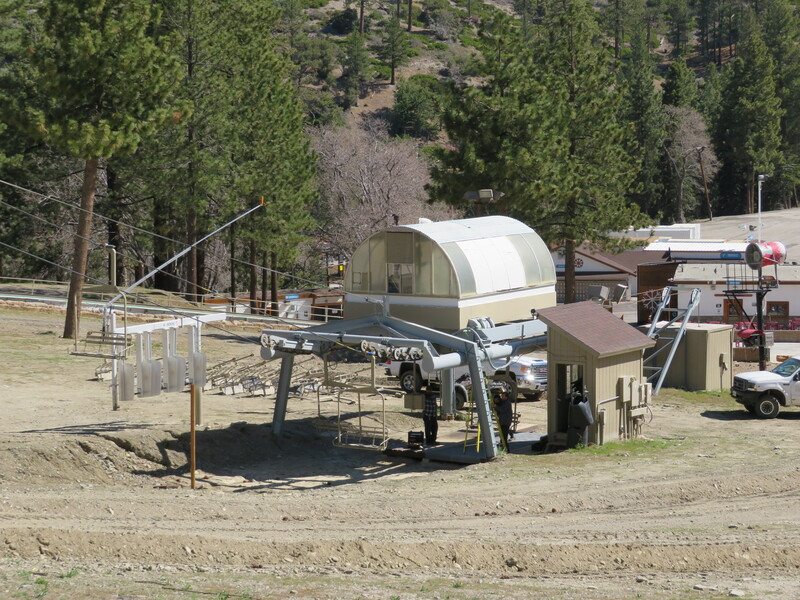 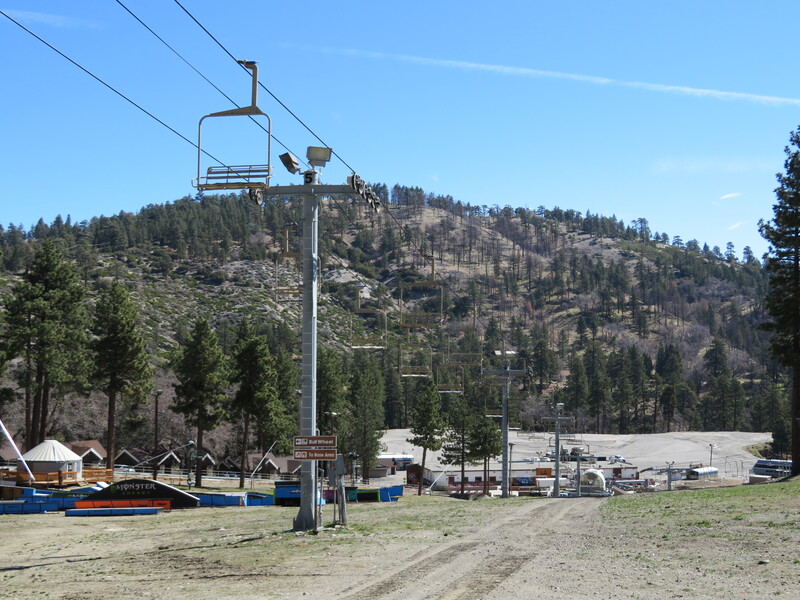 Hall built many lifts in Southern California including both true beginner lifts at Mountain High. 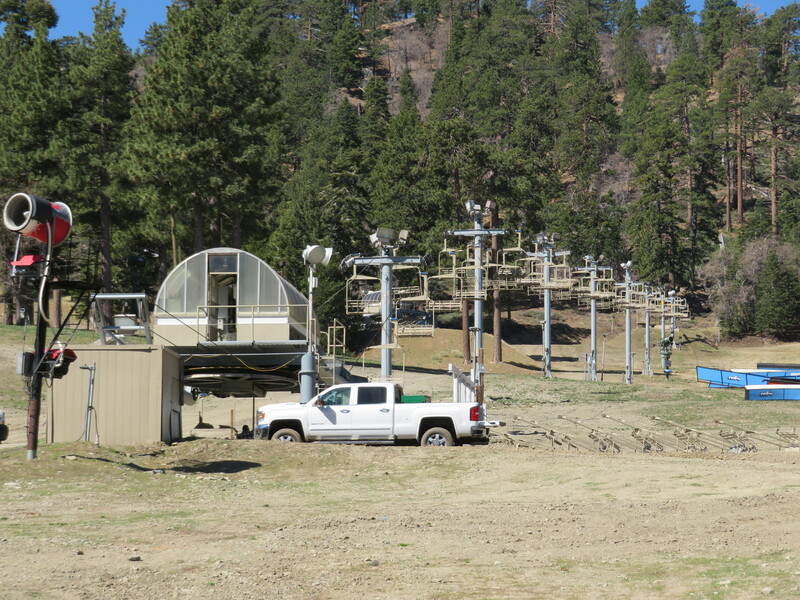 The lift line seen from above. 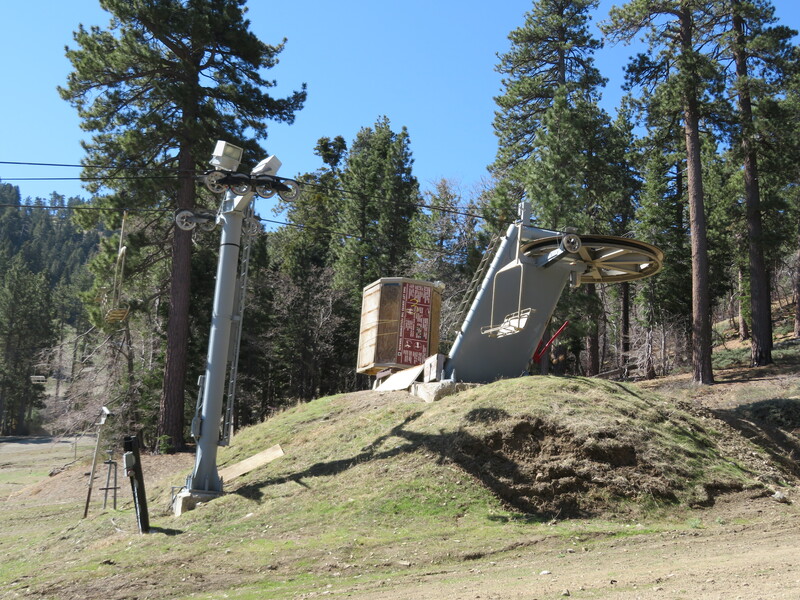 Last tower and the fixed return bullwheel. 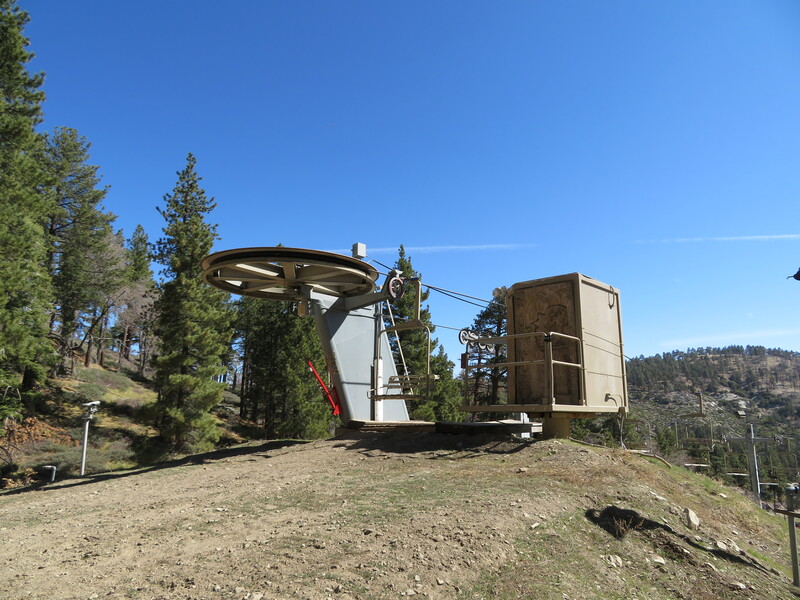 Bottom station with drive and tensioning.